Home NHL Rumors NHL Rumors: Will Pastrnak’s Injury Change The Bruins Deadline Approach? 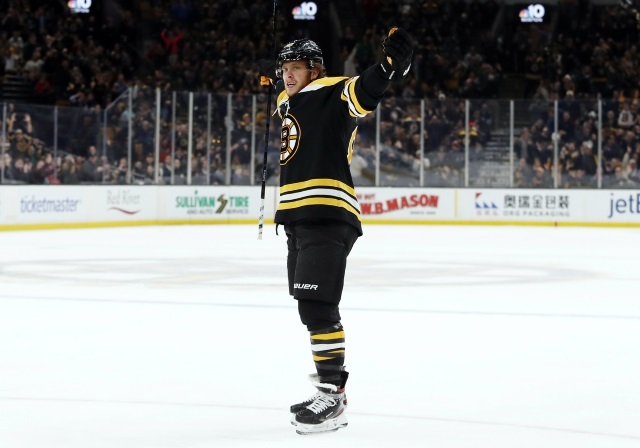 NHL Rumors: Will Pastrnak’s Injury Change The Bruins Deadline Approach? Is urgency hitting the Bruins after the Pastrnak injury news? TSN: Bob McKenzie on if David Pastrnak‘s injury will add urgency to the Boston Bruins plan to add at the trade deadline. Fluto Shinzawa of The Athletic: The Bruins cost to acquire Columbus Blue Jackets Artemi Panarin could be a first-round pick, Trent Frederic and either Ryan Donato or Urho Vaakaneinen. Steve Conroy: The Bruins need to add something but it doesn’t need to be Artemi Panarin. He doesn’t appear to be sold on Boston. Kevin Paul Dupont of the Boston Globe: Boston Bruins GM Don Sweeny had already been talking to teams before the Pastrnak injury news broke. “We were already looking and making calls to see whether or not we could add to the group in the right situation,” Sweeney acknowledged late Tuesday morning during his news conference that revealed Pastrnak will be sidelined for at least two weeks. Steve Conroy of the Boston Herald: GM Sweeney has been talking to teams over the past month to see who might be available. Pastrnak’s injury isn’t going to change their approach ahead of the deadline. In the past, Sweeney has added a least one piece at the deadline. Adding a rental hasn’t been ruled out. “I’d like to invest with somebody who is going to be with us, but I’d like the best player to impact our lineup as well,” he said.